It is not too difficult to evoke the old neighbourhood on the lower East Side of Manhattan known as the Garment District. This place of sweatshops and warehouses had as its heart a derelict public library, which would reopen in 1967 as the Public Theatre. The company’s approach established two new standards for an alternative theatre production, which have not been equalled. The first, was that the language of Shakespeare would define the company’s qualities and ethos. The second, was that those who could perform this language would of necessity be of the very best—and that remained the requirement regardless of background. Politically, this was an action against the segregation of traditional casting practices in the American theatre; from the start a Public Theatre production meant more than just an integrated company but carried the implication of social transformation. Its first production was the anti-Vietnam war musical Hair (1968). Other notable productions were The Normal Heart by Larry Kramer. This 1985 production brought the political lessons of activism: that the learned and academic responses to the HIV crisis may inform the high cultural circle, but the meaning and understanding of what should be the government and public response is formed and reproduced by Popular Culture. In answer to the question then, who is the most likely to respond effectively to political change, it would be exceptionally difficult to compete with the Public. In 2015 when the current president was a candidate running with what appeared to be an outside chance, The Public staged a free production of Julius Caesar in Central Park—a modern dress production with candidate “Trump” now appearing as the acting President. The reading mainstream media gave of the production was an echo of the work as understood by liberals and the right. The follow up points made by other critics were singular and effective: no one had objected when a mid-western company had staged a modern dress performance of the work with a President Obama look-alike in the role of Julius Caesar. It is beyond the scope of this article to consider what virtues that production was intent on signalling. 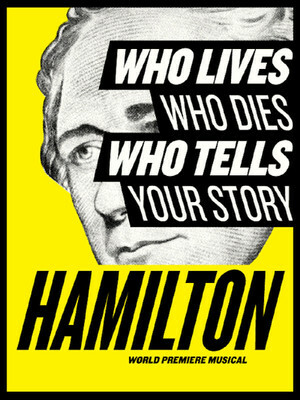 As far as the virtues or teaching points of the Public’s Central Park production were concerned, the Publics artistic director was clear: the company had chosen this particular Shakespeare play to demonstrate what would happen politically to contemporary America if there was an attempt to stop—by means of assassination—the formation of a new Empire and dictatorship. It addressed the contemporary context of the individual’s revenge on the police force after a series of police killings of unarmed blacks. The Central Park production took this context and transformed it into a real life political allegory: what if there was a conspiracy within the senate and the White House of minority workers and senators who thought justice and the republic would best be served if they removed the president by assassination? The conclusion that no matter how conspirators can persuade themselves of their own virtues it is the consequences and political effect of their actions that matter. These are just some of the aspects and origins of the Public's traditions that gave rise to Hamilton. But there is one other political context necessary for its particular approach to its subject. O’Brien still considers himself “a child of the Enlightenment,” albeit “a somewhat battered and chastened child,” his impassioned assault on Jefferson may come to be regarded as just another shot in the current intellectual campaign to discredit the Enlightenment and its Universalist ideals. Wood the reviewer details how O'Brien's had produced “not a work of history” but something that read like a “legal brief”. If the book was a legal brief, it was not one for the defence but one for the prosecution. Why historical figures should be brought to trial in this way to “discredit the Enlightenment” indicates a much deeper ideological fissure: the Revisionist and neo?conservative resistance to modern social polity that was formed and can be changed by radical organisation and revolution. That said, this school of thought had origins in the late 1960s. It wasn't simply that a few activists could organize and did begin to change society in the United States in the 1950s and 60s, but that it appeared to be easy to do so. Modern communications were able to inform the public of the contemporary immediacy of politics and helped indirectly to raise interest and support. This indirect aspect of modern media is the main reason why conservatives and the alt-right have become obsessed with modern media as a constant source of betrayal. To those who were hostile to the Civil Rights Movement—which was the majority both here and the United States—they saw their job of opposition as one of intervening to arrest the quickening pace of developments. They did this first in public by traditional Lynch Mob tactics, all those who turned up were ready not to just picket or protest but to injure. Again, as happened here, the police played a partisan role in not enforcing the law. What role they did play, was to ensure that as few as possible of the violent pickets were arrested and if they were, they were treated leniently, or subsequently let off entirely. Many conservative historians give an empirical account of the decisive action of the president’s and the central government executive actions in halting further violence; when the key historical development was passed over: how ideas and a new understanding—even in the most averse conditions—are able to produce social change. This was in short a social and political process by the oppressed claiming ownership of the existing promise of bourgeois society of Liberty and Equality. In short, to take the Enlightenment and make it their own. This is essentially what the Public's production of Hamilton currently now playing in London's West End attempts. It signals the beginning of the fight to take ownership of history and its revolutionary meaning. Its main audience are those who have come to accept significant social change is now vital. How vital can be gauged by how the production views Jefferson. For them he is a man long on theory but very short on practice. He doesn’t reach the current standard expected of a revolutionary. But their own chosen revolutionary simply isn't Hamilton in hip-hop guise, or his history told in popular form, but a work about social transformation then and now.